A World Class Fishing Destination In The U. S.
(Soldotna) – In an effort to harvest surplus sockeye salmon returning to the Russian River, the Alaska Department of Fish and Game (ADF&G) is implementing the following sport fishing regulation liberalization by increasing limits of sockeye salmon to six per day and twelve in possession for the Russian River and a section of the mainstem Upper Kenai River. This regulatory change is effective 12:01 a.m. Tuesday, July 2 through 11:59 p.m. Saturday, July 14, 2018. The section of the mainstem Upper Kenai River includes the area that extends from Skilak Lake upstream to ADF&G regulatory markers located approximately 300 yards upstream of the public boat launch at Sportsman’s Landing and the Russian River from its mouth upstream to an ADF&G marker located approximately 600 yards downstream from the Russian River Falls. Anglers are reminded that they may possess only the limit allowed for the waters they are actively fishing. 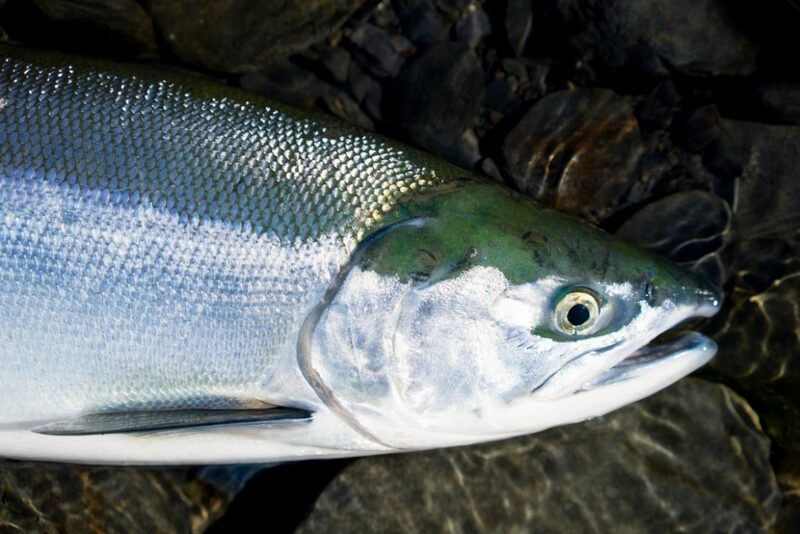 If a Russian River angler has more than six sockeye salmon in possession, then that angler may not fish in waters with a possession limit of six. As of July 1, 2018, over 32,700 sockeye salmon have passed the Russian River weir, located upstream of the falls. Average run timing to this date is approximately 70%. 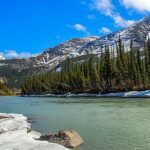 ADF&G estimates that the escapement will exceed the early-run sockeye salmon biological escapement goal of 22,000 – 42,000 sockeye salmon. 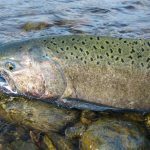 “Based on the number of sockeye salmon that have passed through the Russian River weir it is appropriate to increase the limits and allow anglers an opportunity to harvest six sockeye salmon per day in the Russian and Upper Kenai rivers,” stated Cook Inlet Management Coordinator Matt Miller. Anglers are reminded to remove fish carcasses whole, or gutted/gilled from the Russian River clear water. If you clean your catch, take fish to the mainstem Kenai River cleaning tables located at the confluence and ferry crossing to fillet and chop-up sockeye salmon carcasses into small pieces and throw the pieces into deep, flowing waters. Please keep all personal belongings, including stringers of fish closely attended. Please respect the riverbank restoration projects and stay on the established pathways in the Sanctuary area, campground areas, and Russian River ferry area. 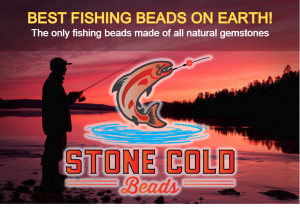 Salmon, Trout, and Steelhead Fishing Beads Like No Other! Fishing Maps, Fishing Calendars and More!